I’m super super proud of myself because I finally uploaded an IGTV video. 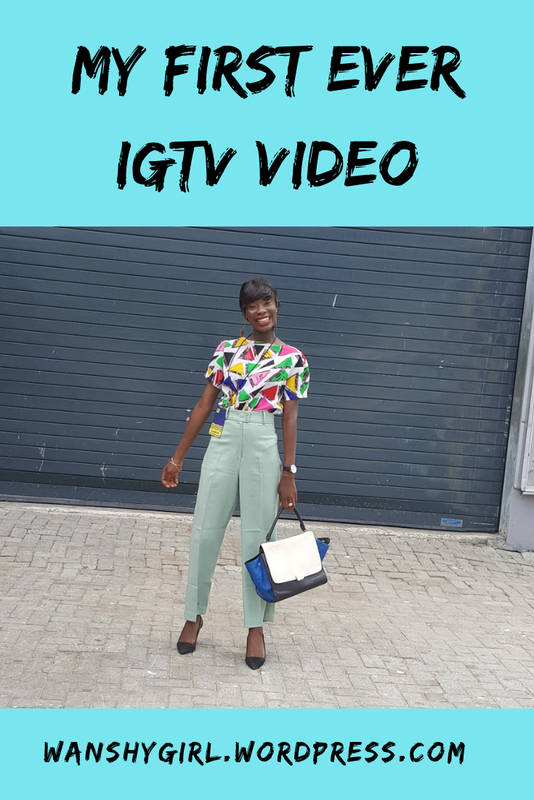 Ever since Instagram launched IGTV in June 2018 I was sceptical about joining the bandwagon because I just wasn’t ready for all that pressure and I really didn’t have the right equipment. Yet video content promises to be huge in 2019, hence a girl’s gotta do what a girl’s gotta do. Anyway, I don’t have the best equipment yet but I’m certainly not going to sit around and wait till I get it so here’s to working with what I have at the moment. Let me know what you think in the comments section and don’t forget to like and follow me as well. ALSO READ – January 2019 Life Recap + First Style Post of the Year! Previous Post January 2019 Life Recap + First Style Post of the Year!